If you want to stay somewhere with character and individuality, give the chains a wide berth and head instead to some of the most unique boutique hotels in Southeast Asia that we have discovered. There are plenty of brilliant hotels in this region to suit everyone’s taste, from minimal and cosy hangouts to extravagant, super-central lodgings that give other five-stars institution a run for their money. Here are five gorgeous boutique hotels to check out for your next getaway. Ever wondered what The Great Gatsby would look like if Baz Luhrmann had shot the 2013 blockbuster in Southeast Asia? 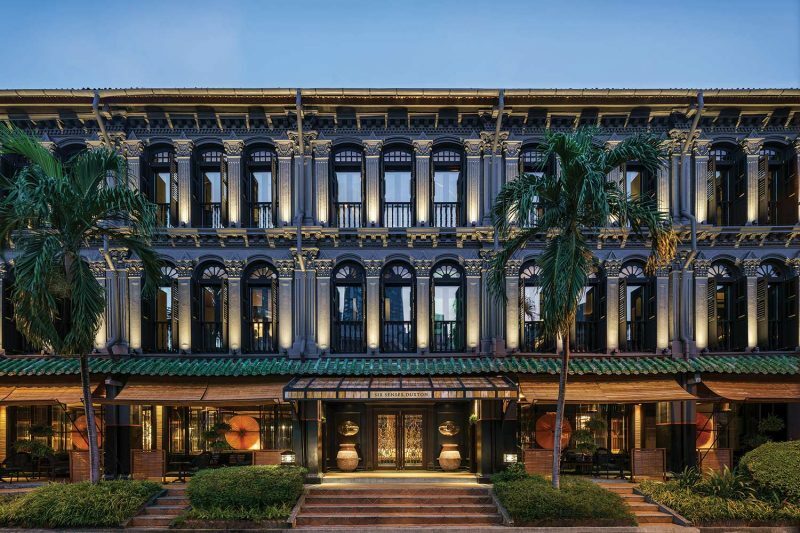 Singapore’s Six Senses Duxton might just paint a picture of what you can expect. When you walk through its grand double door entrance from the street outside, you’ll immediately enter an opulent world of elegance and chic style. There’s a bit of history behind the avant-garde boutique hotel that’s taking the island nation by storm too; located in Chinatown, Six Senses Duxton comprises a row of heritage trading houses that were expertly restored by none other than the famed hotelier and interior designer Anouska Hempel. Stepping through the lobby can be likened to a sensory journey through time; the boutique hotel’s décor includes large golden fans, resplendent Oriental screens and calligraphy prints on the walls, as well as a heavy tone of black, gold and yellow. Here, it’s possible to believe in the world of riches and decadence that had inspired Kevin Kwan’s Crazy Rich Asians. For more information and booking, visit sixsenses.com. 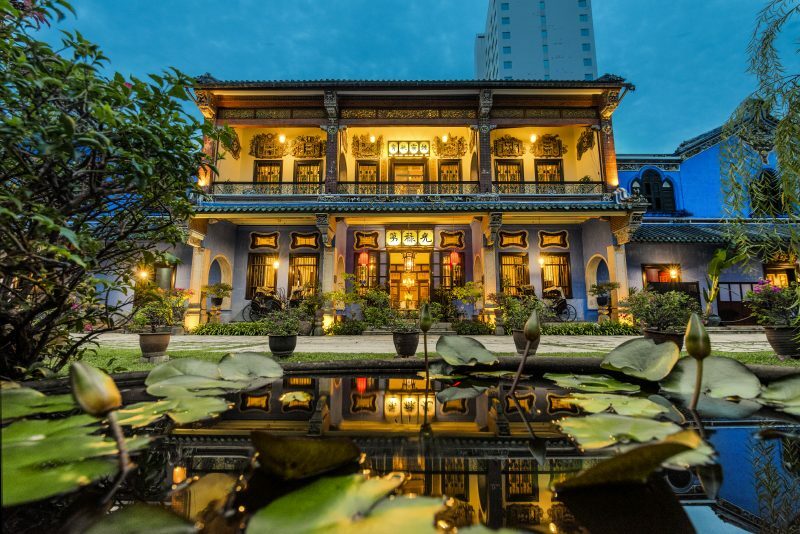 Take a trip down memory lane at the Cheong Fatt Tze Mansion on the Pearl of the Orient. The mansion experienced its first renaissance at the end of the 19th century when its founder, the tycoon Cheong Fatt Tze, sought to realise a lofty aspiration: creating an opulent home for his descendants that reflected grandeur and success. After falling into a period of disrepair, the Blue Mansion was expertly restored to its glory days, allowing visitors to the boutique hotel to catch a glimpse of the Rockefeller of the East’s lavish lifestyle. Planning a trip to the Cheong Fatt Tze Mansion? You’ll be thrilled to learn that there’s a luxurious fleet of rooms across four categories, namely the Ming collection, the Liang collection, the Tan suites and the Han suites. Each room has been designed with utmost attention to detail; in keeping up with the hotel’s decadent, old world deco, some suites even feature antique collections and artwork from the Cheong Fatt Tze family’s personal estate. Over the years, the Cheong Fatt Tze Mansion has won its share of prestigious accolades (it was named the UNESCO’s Most Excellent Project in the Asia Pacific Heritage Awards of 2000); just this year, the Blue Mansion was thrust into Hollywood limelight when it served as a filming location for Crazy Rich Asians. For more information and booking, visit cheongfatttzemansion.com. If you’re no stranger to major Vietnamese cities, you’re probably well acquainted with the lively crowds, dense, speedy traffic and pace at which they operate. All these factors combined make the Fusion Suites Sai Gon in Ho Chi Minh (Vietnam’s largest city) all the more unique – in an urban metropolis that can easily feel overwhelming, the hotel offers an oasis of calm for travellers to escape to after a long day, put their feet up and relax. The leading theme for the design behind Fusion Suites is rooted in minimalism; expect clean, almost-bare aesthetics and simple lines that prove how sometimes, less is truly more. 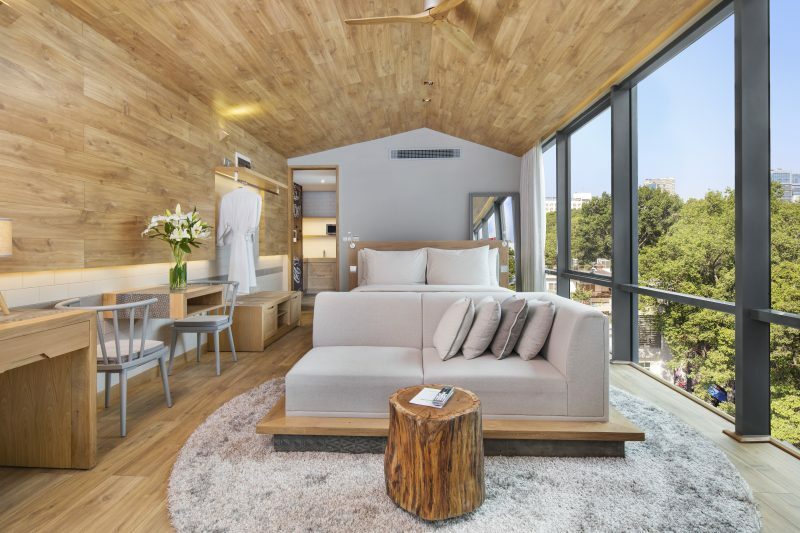 One thing about Fusion Suites’ interiors that caught our attention is the heavy use of wood, from the simple boards that lined the floors to the walls and even ceilings. This aspect of the design gives Fusion Suites a distinctly Scandinavian warmth, making us feel instantly welcomed to our home away from home. Fusion Suites is also strategically located in Ho Chi Minh; it’s in the centre of District 1 and within walking distance to one of the city’s oldest parks, not to mention a 15-minute walk from the Ben Thanh Market. Furthermore, room rate also includes a daily spa treatment, while the hotel’s special “breakfast anywhere, anytime” service” means that you’re able to dine – and indulge – at your own pace. For more information and booking, visit fusionresorts.com. Attention, city folk! Is the frenetic pace of urban life grinding on your nerves? If you answered “yes”, it might just be time to kick back and take things slow…at The Slow in Bali. Established in 2016, this boutique resort offers a contemporary take on luxurious escapes to the Island of the Gods. 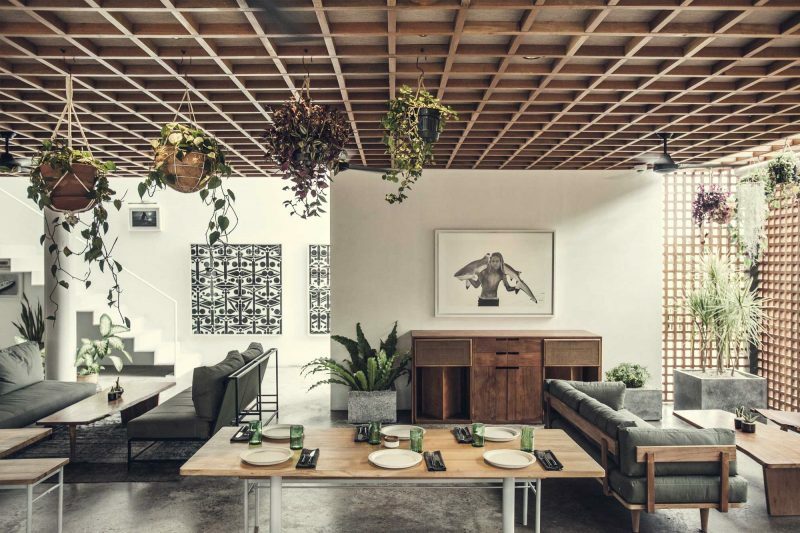 The phrase “tropical brutalism aesthetic” best describes The Slow’s architecture and design. First impressions reveal a unique interplay of industrial materials and native wood, a perfect reflection of modernity that doesn’t compromise local tastes and tradition. If you find yourself captivated by The Slow’s stunning interiors, we urge you to take a leisurely stroll through its premises. There’s plenty to feast your eyes on as various artworks (comprising mostly photography) are showcased throughout the hotel, thanks to founders George and Cisco Gorrow’s love of art. Fun fact: there’s even a gallery space – Room 13 – dedicated to art. After a day of sightseeing and catching the surf on the tropical paradise, there’s no better way to unwind than retiring into one of The Slow’s 12 suites. The spacious interiors are decked with local artisan-produced furniture and crafts, not to mention artwork. All the rooms are fitted with floor-to-ceiling windows, allowing you to catch a glimpse of Canggu Beach (this surfer’s paradise is a mere 300m away), nearby villages and even Uluwatu in the distance. For more information and booking, visit theslow.id. The phrase “seeing red” takes on an entirely new meaning at the Amdaeng Bangkok Riverside Hotel. 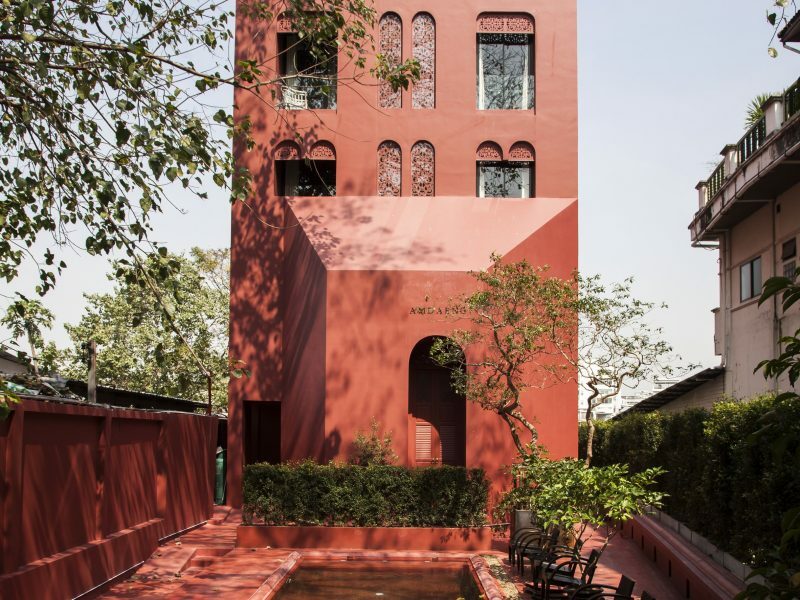 Situated at the curve of the majestic Chao Phraya River, the Amdaeng cuts a striking figure – the building’s exteriors are painted a vivid red, enabling its elegant structure to stand out from the surroundings. Amdaeng prides itself on being the most romantic hotel in Bangkok, and there’s a unique backstory behind its name too – in the Thailand of yesteryear, the word “amdaeng” was often used as a personal title for women. Today, the boutique hotel utilises both eastern and western influences alongside its native Thai roots in creating a decadent stay like no other in the City of Angels. Walking through Amdaeng’s premises is more than enough to unveil why the hotel is a love nest for visiting lovebirds. Upon entering the lobby, guests will find themselves transported into the charming Siam of yesterday; a majestic chandelier hangs over the reception desk, while a plush leather sofa and delicate antique pieces add to its air of grandeur. Soft light filters through the intricate latticework that graces the windows, allowing guests to forget the hustle and bustle of the world outside. In addition to the creature comforts of the suites, the hotel offers plenty of other spaces for you and your lover to bond – the rooftop overlooking the Chao Phraya at dusk is a definite favourite. For more information and booking, visit amdaeng.com.